Swarovski 5301 4mm Bicone Crystal, Blue Zircon AB. Pack of 20. 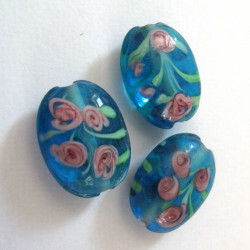 Blue bead with pink flowers. LW21 - Blue bead with pink flowers. Approx. 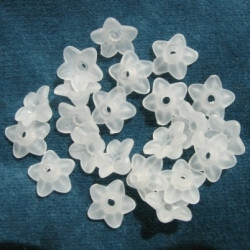 20 x 16 mm. Handmade lampwork beads. No two exactly the same. We are looking for new venues for fairs. Do you have a large beading group and would like a visit from beadsupermarket near you? 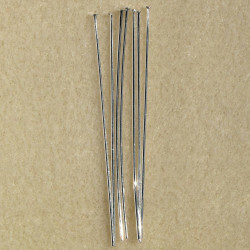 We are having a lot of fun with wire wrapping projects at the moment. 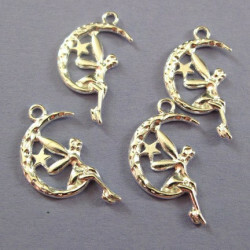 This tree pendant is really easy to make. 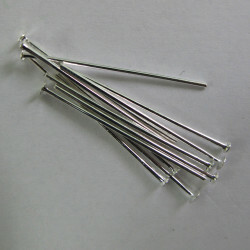 We used 0.4mm wire, 1mm wire and size 8 seed beads. 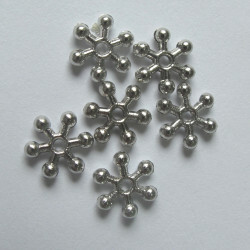 Our new non tarnish silver colour copper based wire is selling well for this and similar designs. Different sized beads also work well for the tree design, size 6 seeds, size 11 seeds ( for a more intricate look), 4mm crystal bicones and also 3mm or 4mm pearls. Also, why not mix up the beads, maybe mainly green glass with a few red to look like an apple tree? If you want to see exactly how this is made why not come along to one of our Bead Fairs and see a demonstration. 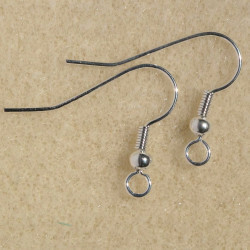 If you are new to jewellery making we are happy to demonstrate simple earring making at our events. 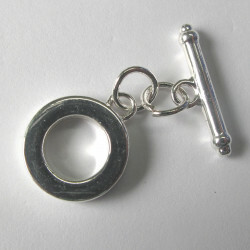 The other thing that sometimes puzzles people, is how to get a neat and secure finish to a necklace or bracelet. 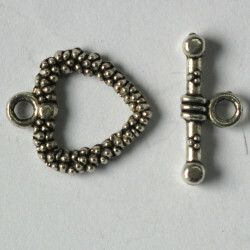 We recommend using tiger tail, crimps and a clasp of your choice for most bead options. 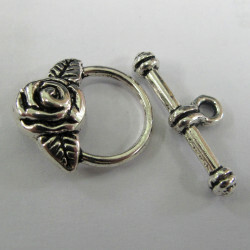 Magnetic clasps are very popular, but don't use them with very heavy beads. 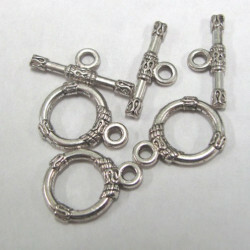 Toggle clasps are great value, ours start at just 99p per 10 sets. Again, come along to a fair and see a demo. We currently have a selection of our beads in Newtopia, 10 High Street, Newtown, Powys, SY16. It is not a huge selection, but given a couple of days notice we can usually take a selection of what you are looking for in to the shop. Newtopia also sells locally made crafts and works of art. If you are local to Newtown/Caersws we are thinking about starting a jewellery making/craft group. Do get in touch if you are interested. I think we need a core of about 10 people to go ahead. There seems to be more interest in an evening group, maybe meeting monthly. See top right of home page.